We recently published a report with the Social Market Foundation showing that schools serving more disadvantaged communities appeared to have greater difficulties in recruiting suitably qualified teachers. 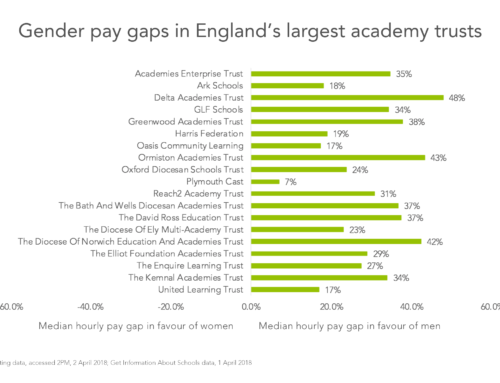 Ofsted contacted us to ask whether these inequalities were more or less pronounced in areas with selective secondary schooling because this has been an area of inquiry for them. Dividing pupils at the age of 11 into grammar and non-selective schools presents a particularly complex example of the social sorting we explore in the original report. It is well-known that few children eligible for free school meals pass the eleven plus. 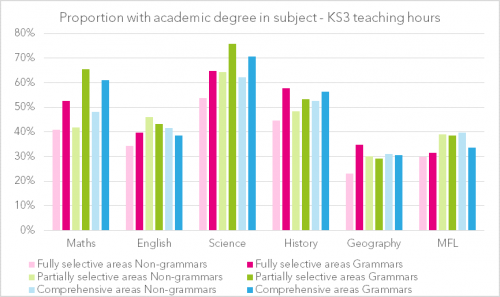 One consequence is that the teachers they are likely to encounter will be different to their more advantaged peers who proceed to grammar schools. The chart below shows that grammar schools do indeed have a more stable staffing structure than other schools in the area. The most striking difference is that only half the number of teachers move from a grammar school to another school each year. Numbers leaving the profession from grammar schools are actually quite high, which reflects their much older age profile and thus retirements. 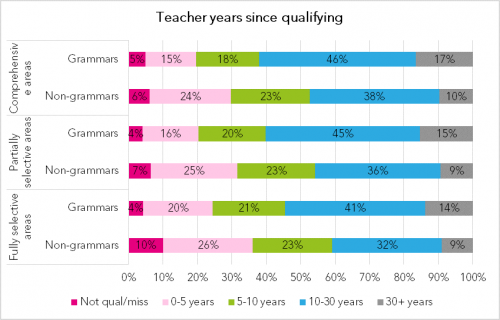 These differences in the qualification profile of grammar schools and other schools in the same areas is stark: grammar schools have much larger numbers of very experienced teachers and very few unqualified teachers. Finally, pupils in grammar schools seem much more likely to be taught by someone who has an academic degree in the subject. These differences do vary across subject. At KS3 the differences are most pronounced for maths and science, which is consistent with the view that these are the subjects where recruitment is currently most difficult. 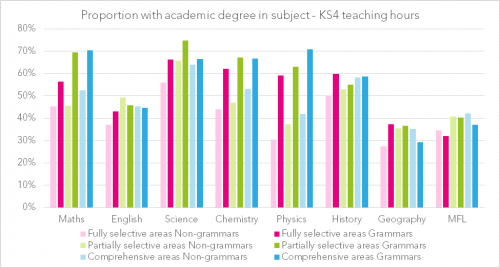 And the analysis of KS4 suggests that the shortages within the sciences in the non-selective schools in grammar areas are most pronounced in physics (and to a lesser extent chemistry). 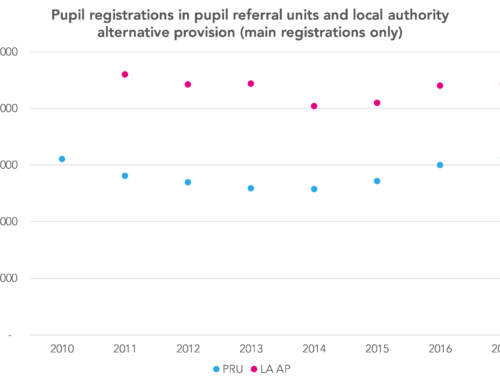 This analysis reminds us that, whilst we worry about the impact of 11+ selection on the social segregation of children across schools in an area, we should also think about how it affects the choices that teachers are making about where to teach. There are policy solutions that could preserve the academic separation of the children, whilst ensuring greater equity in access to high quality teaching.